Don't fix your Vacuum or purchase a new one until you read this simple Buyer's Guide - How To Choose The Right Vacuum Cleaner - Six Things To Consider. 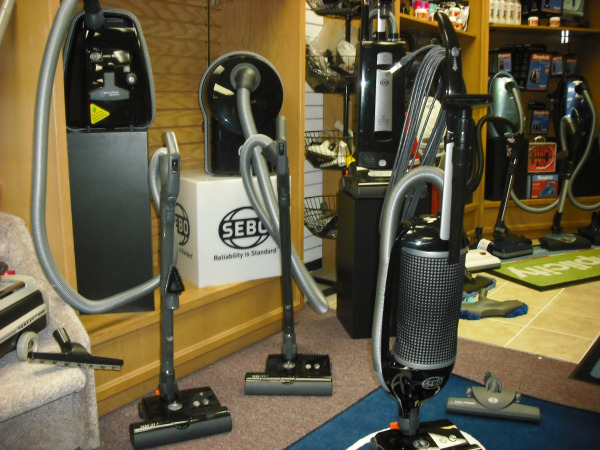 SEBO - The World's Best Vacuum. Thats what they're calling it! I have to say I really had my doubts. How could they make such a claim? I call my Vacuum Store, Capital Vacuums, the World's greatest Vacuum store but only because it is the World's greatest Vacuum Store. Before we made that claim we asked quite a few of our customers and they all agreed they had never been in a better vacuum cleaner store than Capital Vacuums. There are a lot of really good vacuum cleaners available. There has never been a better time than right now for the consumer looking for a quality vacuum. When a vacuum cleaner company claims to be the World's Best Vacuum Cleaner, the Worlds greatest vacuum cleaner store has to check them out. We decided to become a SEBO Dealer and put them to the test. We purchased the full line of SEBO Products and for the last couple of days have been putting them to the test. I think SEBO Really is the Worlds Best Vacuum Cleaner. SEBO Has the right vacuum cleaner for everyones needs. In every category (Upright, Canisters, Lightweight, Specialty) these machines Clean great, Are very easy to use and are built to last.